We make badge holders to your exact specifications. 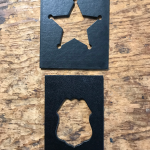 Slim Line already has hundreds of badge cutout dies to precisely make your exact badge cutout so that it fits snugly around your badge. This allows for your badge protection and a more comfortable fit to carry. Check out our badge cutout search chart to see if we carry your badge. 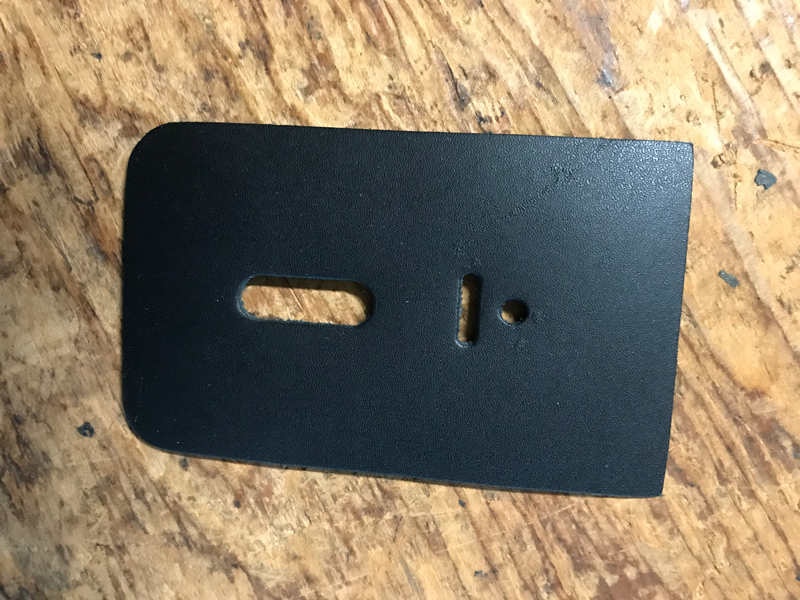 If you cannot find your badge cutout, then we are happy to quote you on a new badge cutout die to precisely fit your badge. 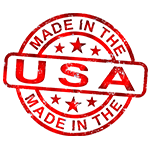 Slim Line will be happy to assist you with a quote for adding a custom logo, seal, company name or department. 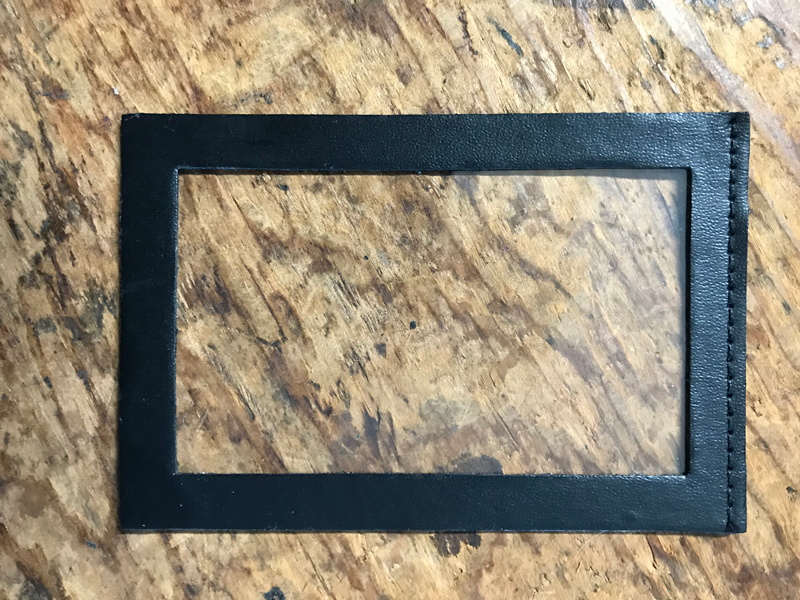 If we do not have your stamping die, you can send us a clear black and white image (200+DPI) of what you wish us to print on the front of your leather case or wallet keeping in mind that it cannot get close to the stitching (usually works best if under 2 ½”). We can customize orders of 12 or more cases or wallets and offer quantity discounts that you can inquire about. Above are three types of stamping we do… gold imprinting, silver imprinting and plain imprinting (no foil). Each are heat stamped into the leather to offer a custom look and personal touch. Each leather can react differently to this process, so that it can naturally fade over time and wear just like a pair of jeans! We use only top grain genuine leather in each of our products to ensure our top quality customer rating. We're best noted for our Slim Fitting dress leather cases and wallets…thus our moto: “That’s the Slim Line Difference”! We offer a few of our models in duty leather and are happy to accommodate your preference. 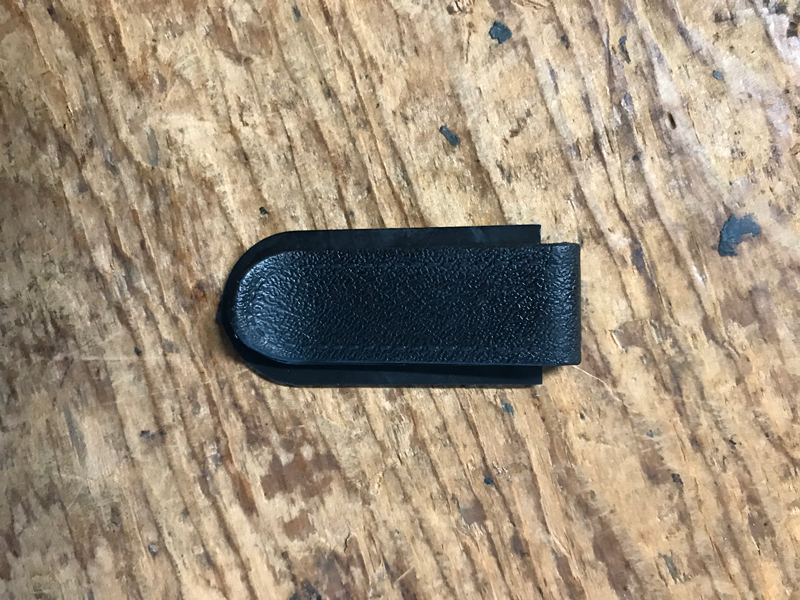 Please keep in mind that duty leather adds to the thickness and will be a less sleek fit and bulkier case. Slim Line offers custom parts that can be added to custom fit your needs. 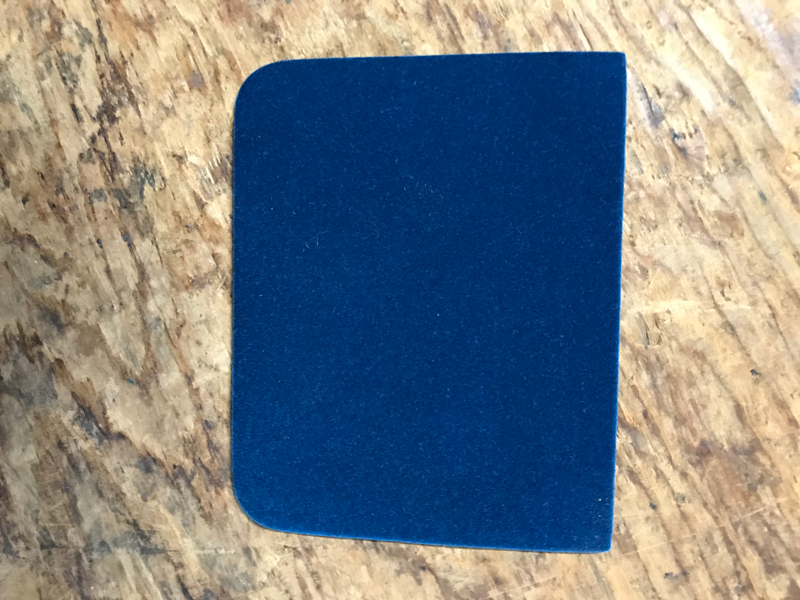 Whether you choose to add a suede protection flap to protect the badge and window or want a clip that can be added to the back of certain badge cases, we offer many different options to help each customer find their exact comfort level. Check with us to find out which models can offer certain custom additions and to get a quote.